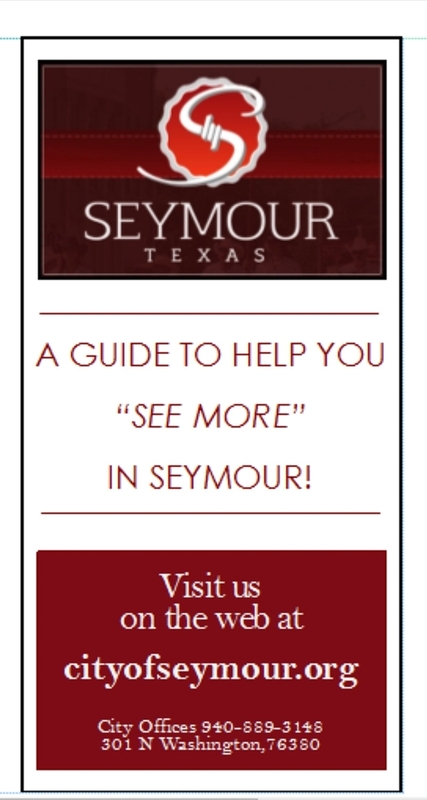 Now visitors and new community members will be able to navigate Seymour’s restaurants, retail, convenience stores, service stations, and local attractions with ease thanks to our new “See More” in Seymour visitors guide. Guides include a full city map, color coded locations of interest, important contact information, and easy to read menus. Across the back are daily/weekly rental information as well as local RV Parks and Bed & Breakfasts that are registered with the Seymour Renters Association. There is also a full listing of our annual events. These guides will be completely circulated by Friday, June 18th. You can locate yours at any of our fine retailers, museums, public library, and city hall. There will also be guides in the restaurants and gas stations. Be sure to hand these out to people passing through and use them to give directions. If you have a daily/weekly rental, RV Park, or Bed & Breakfast and would like to be listed in the next printing of the Visitor’s Guide, please contact Lauren Bush at 940-889-0030 or lbush@cityofseymour.org. Joining the Renters Association is easy, effective, and free! Meetings are held quarterly and a meal is provided. 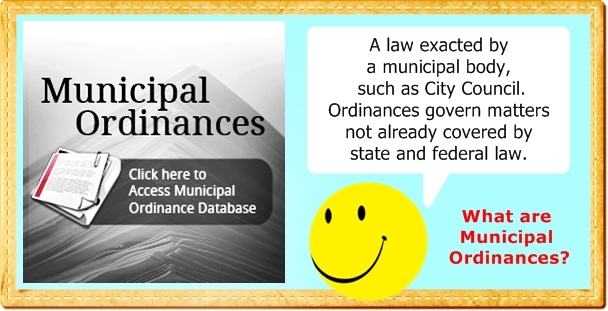 Copyright © 2019 City of Seymour, All Rights Reserved | Public Notices.